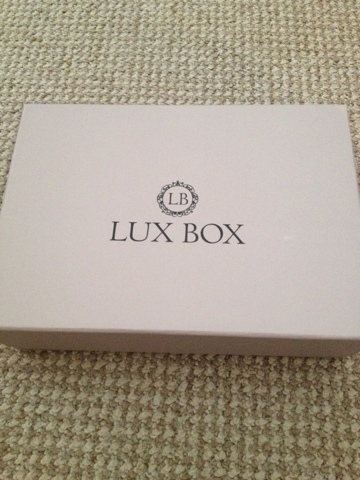 Lou Loves Beauty: Lux Box Giveaway! So as a thank you to everyone for taking the time to read my blog I am doing this giveaway, the prize of course being Januarys Lux box. *I will also put in an extra product in as a surprise gift. So what do you have to do to be in with a chance of winning this prize? 3. Leave a comment in the box below with your name as well as your twitter and blog name so I can verify that your following me. The winner will be notified by twitter. This competition will run for 2weeks, the closing date is Sunday 24th February at midnight. I will aim to deliver the prize within 7 working days. Sorry this is open to UK residents only. I think im following you already by GFC but i cant find the "followers" bit? Fab giveaway hun! Wht a great box! You have a super blog too!! Thanks for this fab giveaway! Am following you via GFC, Twitter + Bloglovin. Hey Louise i thought I already followed you on GFC but i can't find it anywhere on this page or your home page to check???? if i don't will you let me know and let me know where it is on your blog too please? you can let me know on my blog or on the UK bloggers page, thanks...I did follow you on twitter though. I've followed your blog and on Twitter. Thanks for the fantastic give-away! What a great giveaway. Would love this prize.